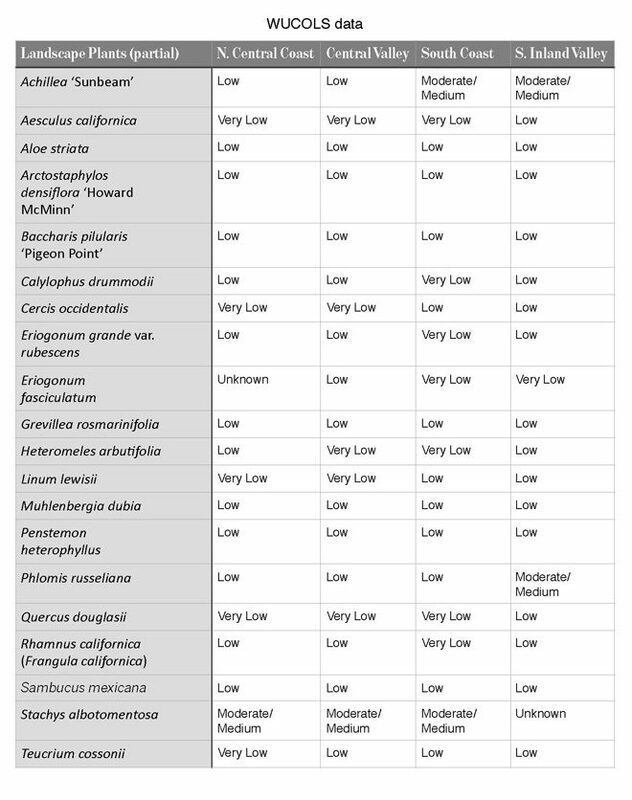 This is the third in a 4-part series we’ve named Planting the New California Garden. Throughout 2017 we’ll be highlighting the work of APLD designers to illustrate practical water-use data beautifully brought to life in a finished landscape. 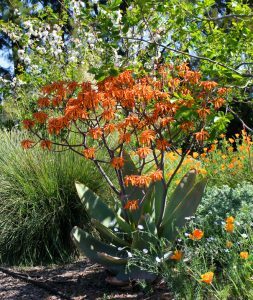 Our Planting the New California Garden series is funded in part by a grant from the Saratoga Horticultural Research Foundation. 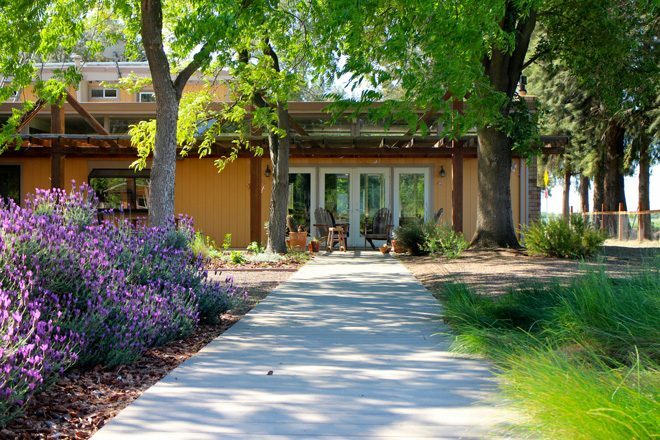 This garden on the edge of Davis, California has broad, west-facing views across farmland to the Vaca hills. Its design embraces the location and view. 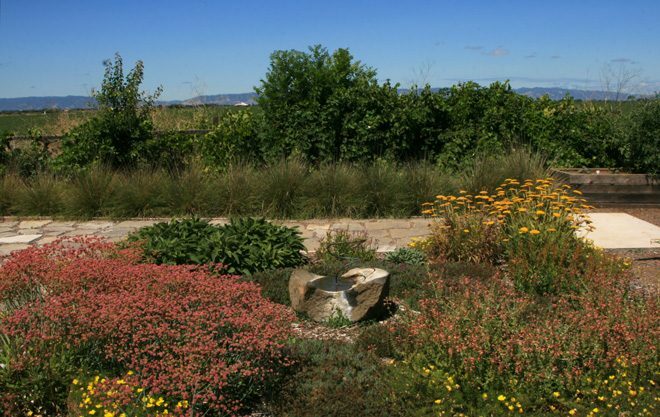 Bernadette Balics, the garden’s designer, deliberately chose low plantings to preserve the open feel. The property owners wanted to welcome birds to the garden and to be able to watch birds from their studio office, situated in the middle of the garden. From a tree-shaded patio, visitors can stroll the boardwalk past lush, drought-tolerant sedges and grasses to a bird shower and pollinator garden. Or, people can pick a cherry tomato from the raised beds before walking through an informal allee of fruit trees. 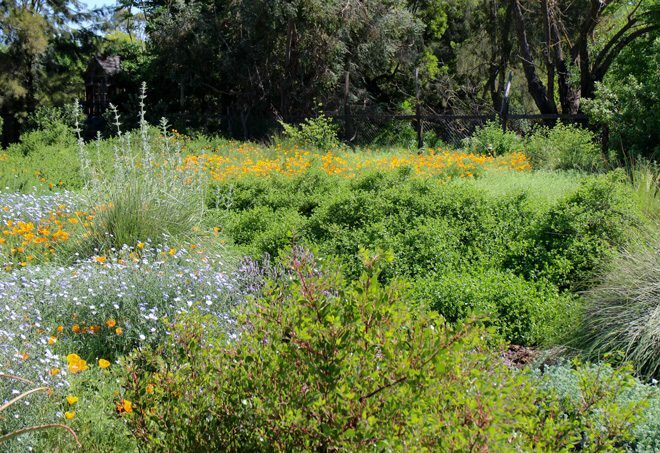 The back of the garden offers a bird habitat meadow filled with California native plants. 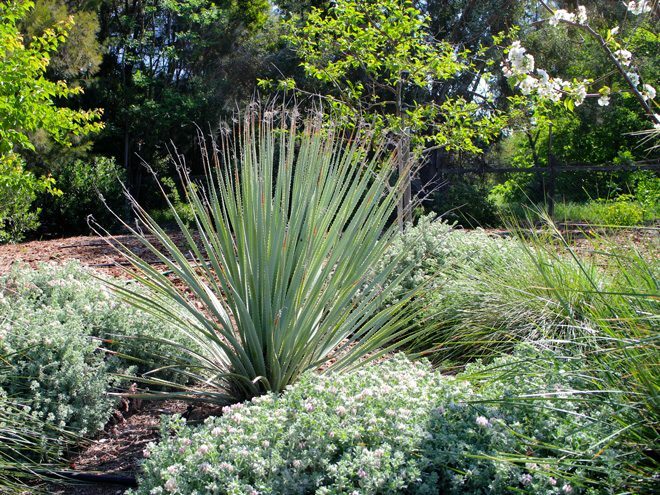 Primary garden irrigation consists of inline drip irrigation except for the California native meadow, which is watered with rotary nozzles. Water from roof downspouts is directed to planted areas, and all hardscape material is permeable. 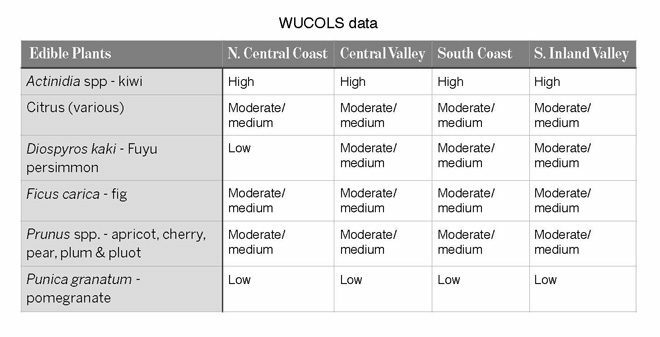 To learn more about the Water Use Classification of Landscape Species (WUCOLS) database go to ucanr.edu/sites/WUCOLS and familiarize yourself with the user manual and begin investigating the water needs of your favorite plants in your region. 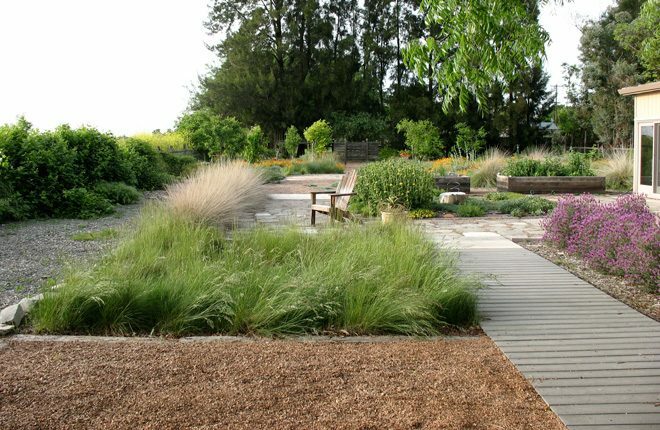 Bernadette Balics founded Ecological Landscape Design based on her conviction that it is both possible and important to apply principles of ecology, sustainable agriculture, and permaculture to create healthy urban landscapes that are beautiful, functional, and personal.